The essential formulas of common conversation in 40 European languages. The best means to maintain a language being to speak it, to make it known and to transmit it to the younger generations by modern methods. In alphabetical order are some 200 simple phrases and questions that will get you out of trouble in the 48 European countries and facilitate your voyage. How do you say « hello », « goodbye », « thank you », « excuse me », « pardon me », « please » in the 40 languages in use on the European continent ? How do you ask for directions in case of difficulty : for example asking directions, where to eat, what to visit, how to get a taxi or bus, how to find the train station, the airport, a hotel, a bank, a museum, the city center, or an address, and so much other useful information. This dictionary gathers the essential phrases to be understood abroad. It allows you to exchange, meet people you wouldn't have without this book, and no longer get lost in a city or a place that you don't know. A dictionary that will facilitate your first steps to get around the language barrier, break the ice and form a contact, in the local language, with the natives of a country. Do you have a question to pose, information to ask? 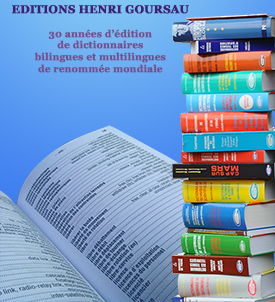 Go directly to the right page of the dictionary by using the index of languages at the beginning of the book. The only one of its kind on the market, it is a dictionary of reference designed to only bring you the essential. This work is addressed to anybody of the French language who desires to communicate or to exchange in the European continent.